Who doesn't love pancakes? Our family likes to have them for dinner at least once a month, and I like to make extra for the freezer. 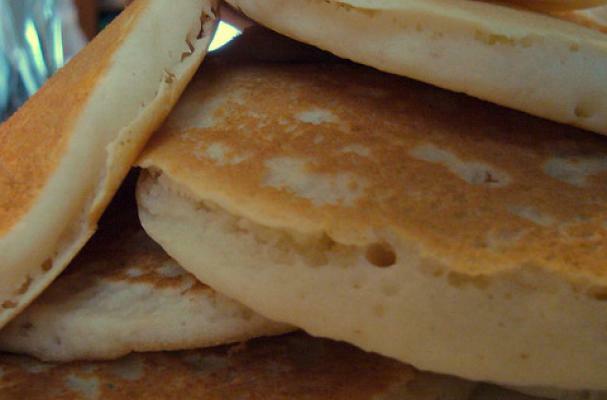 Here is a favorite recipe of mine; Sourdough pancakes. Be sure to try them with nutmeg, too..
1. Place starter in a mixing bowl. 3. Cook the pancakes on a hot griddle until golden brown.